Watches are essential elements for any outfit. Just like ties and shoes, your wristwatch goes on to make bold statements expressing your fashion, personality and even your social status. Although digital watches have emerged wit several options, nothing beats the simplicity and classy look of skeleton watches for men at the workplace. Skeleton watches are ripped off all unnecessary complexities, giving you an elegant look with a transparent case that lets you watch the time. 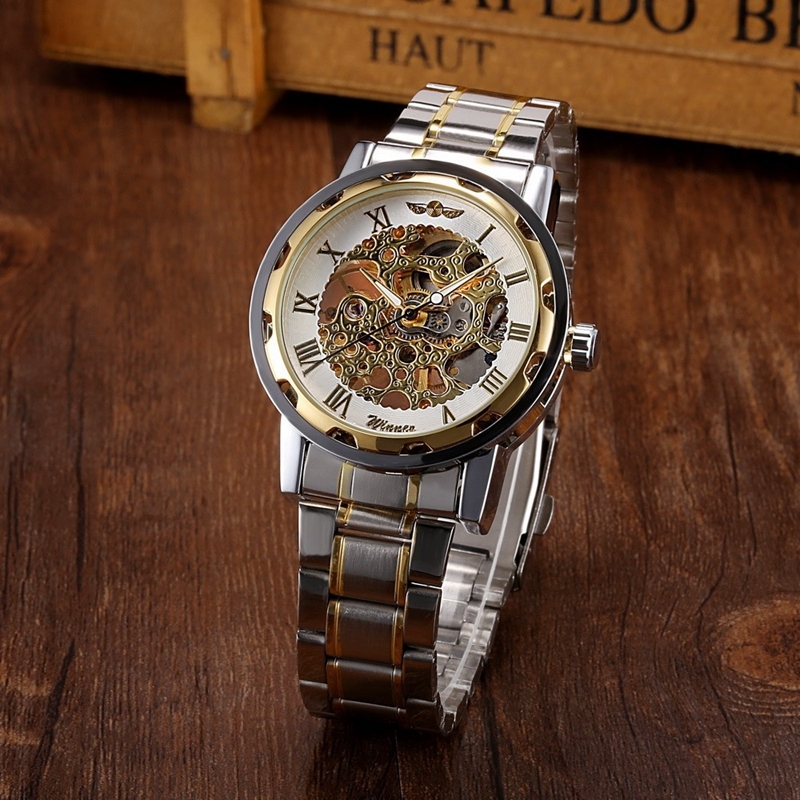 The finest skeleton wristwatches are the best to manifest world-class designs and complex articulates that are put all together to produce a wristwatch. The best designs are those that strip off the watch to its bare essentials, allowing a transparent see-through case that lets you to see the elegant interior, and gives you a highly sophisticated style. 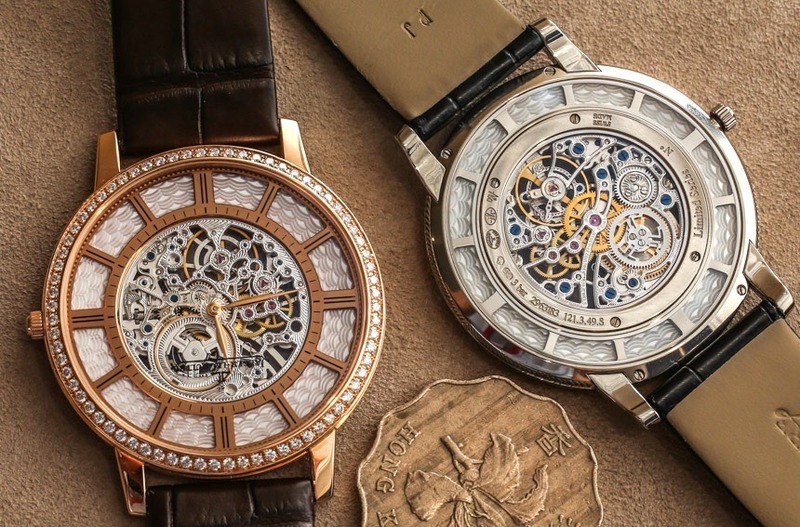 If you are seeking a top-notch skeleton mechanical watch to express an exquisite taste, then you should not miss out on the new GMT964 transparent skeleton dial and the classic 109 hand wind mechanical watch by WINNER. The GMT964 Transparent Skeleton Mechanical Watch features an absolutely stunning, fashionable geometric design that is inspired by the arrangement of sun rays. Through its transparent, high-quality glass case, you can see a beautifully designed interior that comes either in white or black color, and shows analog dial display. The classic case also comes with a metallic black crown. Made of the finest leather and accessorized with a needle buckle, the wristband will definitely give you a bold statement whether you are in a casual or business style. The 109 Classic Hand Wind Mechanical Watch is equally great if you prefer a stainless steel wrist band with a folding clasp. 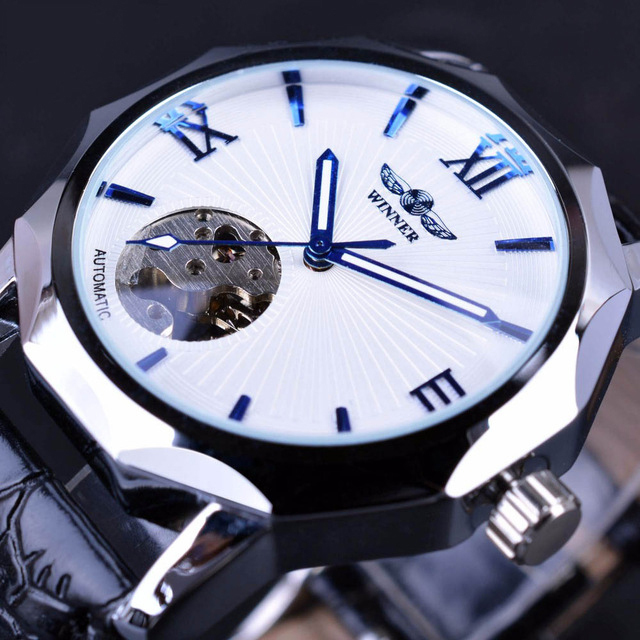 Featuring a classic Rome skeleton and a mirror face bezel, this hand wind mechanical watch will add a lot to your style. The high hardness mineral glass case lets you see through into an elegantly designed interior with illuminated hands that light in the dark. Moreover, the case is held in a high quality zinc alloy case, which contains fine ceramic painting. The interior comes in three different designs and you can choose between a white, gold or black colored interior. The stylized strap is also non-toxic with vacuum zonk alloy plating. 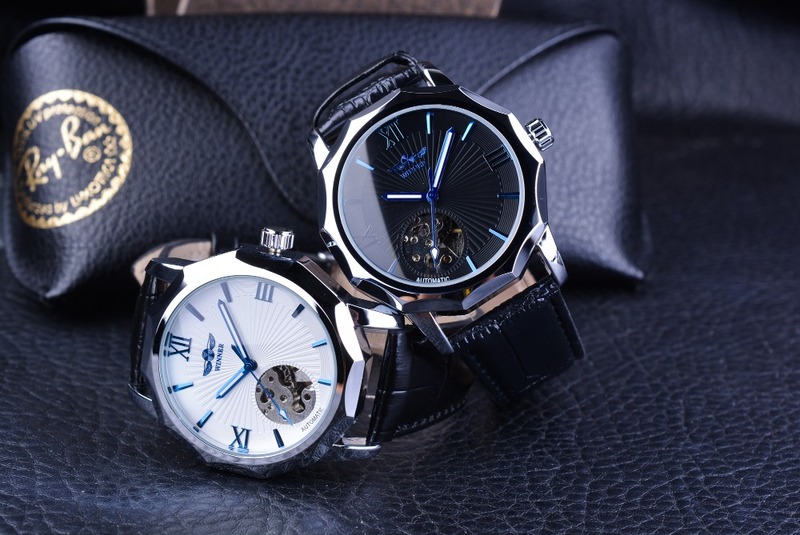 Therefore, if you are looking for an elegant skeleton mechanical watch, but you still do not want to rip your bank account off, these two options by WINNER are great for you. A combination of high-end design and affordable price make these two styles absolute winners. Go out there and make your fashion statement with any of these watches.